*Plus tax and any applicable fees. Up to 5 qt of oil. Must present coupon at time of service write-up. Some makes and modes may be additional cost. Cannot be combined with other offers. Stop by today and get an oil and filter change plus much more for only $169.95 in Jacksonville, FL, at Lou Sobh's Honda of the Avenues, serving customers from St. Augustine, Northeast Florida and the First Coast. Coupon price value for Honda and Acura vehicles only. *Plus tax and any applicable fees. Up to 5 qt of oil. Must present coupon at time of service write-up. Some makes and modes may be additional cost. Cannot be combined with other offers. Stop by today and get an oil and filter change plus much more for only $169.95 in Jacksonville, FL, at Lou Sobh's Honda of the Avenues, serving customers from St. Augustine, Northeast Florida and the First Coast. Coupon price value for Honda and Acura vehicles only. Save on tires at Lou Sobh's Honda of the Avenues, serving customers from St. Augustine, Northeast Florida and the First Coast. *On select tires with purchase of 5 year alignment package. Save on tires at Lou Sobh's Honda of the Avenues, serving customers from St. Augustine, Northeast Florida and the First Coast. *On select tires with purchase of 5 year alignment package. *No cash value. Must present coupon at time of service write-up. One coupon per customer. Cannot be combined with any other offer. See advisor for complete details. For a limited time, get an engine light diagnostic for free with repair of vehicle valued at $105 in Jacksonville, FL, at Lou Sobh's Honda of the Avenues, serving customers from St. Augustine, Northeast Florida and the First Coast. *No cash value. Must present coupon at time of service write-up. One coupon per customer. Cannot be combined with any other offer. See advisor for complete details. For a limited time, get an engine light diagnostic for free with repair of vehicle valued at $105 in Jacksonville, FL, at Lou Sobh's Honda of the Avenues, serving customers from St. Augustine, Northeast Florida and the First Coast. Get great rates and financing at Lou Sobh's Honda of the Avenues, serving customers from St. Augustine, Northeast Florida and the First Coast. *Plus tax, supplies and environmental fees. Diesel extra. Some models may be higher. No cash value. Must present coupon when service order is written. One coupon per customer. Cannot be combined with any other offers. See dealer for complete details. Right now, you can score a full synthetic oil and filter change for just $45.95 in Jacksonville, FL, at Lou Sobh's Honda of the Avenues, serving customers from St. Augustine, Northeast Florida and the First Coast. *Plus tax, supplies and environmental fees. Diesel extra. Some models may be higher. No cash value. Must present coupon when service order is written. One coupon per customer. Cannot be combined with any other offers. See dealer for complete details. Right now, you can score a full synthetic oil and filter change for just $45.95 in Jacksonville, FL, at Lou Sobh's Honda of the Avenues, serving customers from St. Augustine, Northeast Florida and the First Coast. *Plus tax and applicable fees. Must present coupon at time of service write-up. Some makes and models may be additional cost. Cannot be combined with other offers. Discount not applicable towards oil and filter changed, tires, and batteries. *Plus tax and applicable fees. Must present coupon at time of service write-up. Some makes and models may be additional cost. Cannot be combined with other offers. Discount not applicable towards oil and filter changed, tires, and batteries. Coupon price value for Honda and Acura vehicles only. 10% Off* Service & Repairs. Thank you for your service! *No cash value. Must present coupon when service order is written. Max discount $150. Excludes oil changes, tires and batteries. One coupon per customer. Cannot be combined with any other offer. Offer does not include tire service. See dealer for complete details. For a limited time, military members can save 10% off service and repairs in Jacksonville, FL, at Lou Sobh's Honda of the Avenues, serving customers from St. Augustine, Northeast Florida and the First Coast. *No cash value. Must present coupon when service order is written. Max discount $150. Excludes oil changes, tires and batteries. One coupon per customer. Cannot be combined with any other offer. Offer does not include tire service. See dealer for complete details. For a limited time, military members can save 10% off service and repairs in Jacksonville, FL, at Lou Sobh's Honda of the Avenues, serving customers from St. Augustine, Northeast Florida and the First Coast. 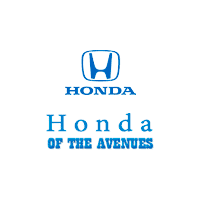 If you need to get your car serviced but don’t want to spend an arm and a leg, rely on the Lou Sobh's Honda of the Avenues service department. We have a rotating variety of oil change coupons, brake service coupons, and more, so you can be confident that you’re getting a good deal on service. After you view our auto repair coupons online, make your way from Orange Park to Jacksonville – we want to keep your car in the best condition possible!